The questions were asked in the context of issues that reverberated throughout the forum: an increasing global population, climate change, malnutrition and poverty, demand for more rice, limited resources such as farmland and water, labor shortage, and gaps in technology. J.S. Sandhu, agriculture commissioner in India, acknowledged the role of agricultural technologies as well as the right policies in improving the country’s grain industry over the last 60 years. India’s food grain production has increased from 50 million tons in 1947 to more than 200 million tons in recent years, which made the country an exporter of food grains including rice. He attributed this increase, particularly from the 1970s, to high-yielding varieties that brought about the Green Revolution and to recent advances in research and development in agriculture. B.C. Virakhlamath, director of rice research at the Indian Council of Agricultural Research (ICAR), said that increasing productivity through partnerships in R&D is the way to go. He also mentioned genetic engineering as a potential tool for helping solve problems in climate change and malnutrition, citing Golden Rice as an example. “Rice intensification, though important, is not enough to bring marginal farmers out of poverty,” said Bas Bouman, director of the Global Rice Science Partnership (GRiSP), as he shared a five-point plan to modernize the Asian rice sector. The five-point plan for rice involves sustainable intensification, land consolidation, mechanization, making modern entrepreneurs out of farmers, and strengthening the whole value chain. Dr. Bouman pointed out that most of the rice farmers are poor, earning only US$ 1,200−2,000 per year. “Even if their productivity is doubled—increasing their annual income to $2,400−4,000, it is not sufficient to bring them out of poverty,” he said. “Land consolidation is needed to increase the farming size of marginal farmers.” He added that it is not a question of whether rice farming is profitable or not; everyone agrees that rice is a profitable enterprise. He pointed out that the farm size of most farmers is too small for them to attain an income that will bring them above the poverty line. Several stakeholders presented various solutions that included labor-saving (e.g., mechanization, direct-seeded rice or DSR) and water-saving options (e.g., DSR, zero tillage, alternate-wetting-and-drying, raised-bed method); and policy, such as that embodied by India’s Food Security Bill. A panel discussion led by IRRI’s Sam Mohanty, with panelists from China, India, and Malaysia as well as from Bayer and the German International Corporation, led to the idea of having a global rice policy. The public-private partnership was expounded further by speakers from Kellogs Company, Bayer CropScience, and Tiga Pilar Sejahera Food. Christel Weller-Molongua, head of rural development at German International Agriculture, reminded participants about the importance of preserving biodiversity and environmental sustainability while exploring solutions to agriculture. 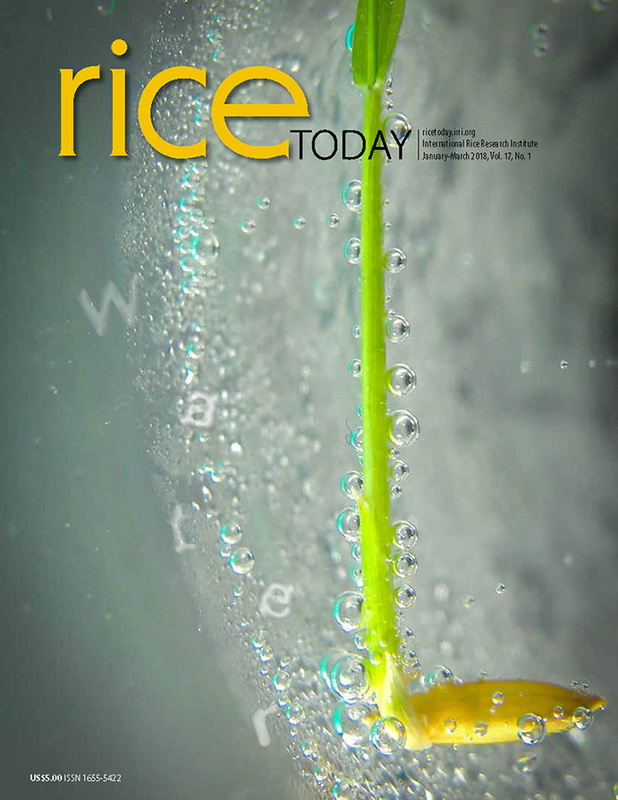 The Rice Future Forum was organized by Bayer CropScience with ICAR and IRRI.